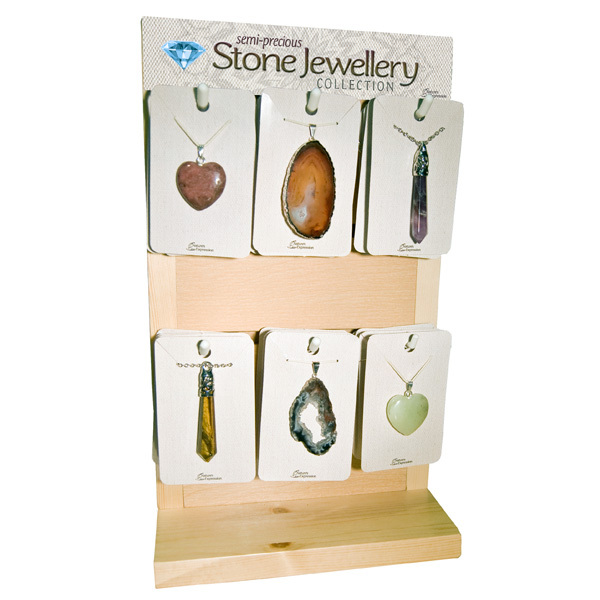 Four popular semi-precious stone pendant styles come on this versatile slat-wall display. 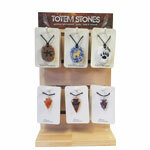 Heart and filligree capped point pendants come in a variety of beautiful semi-precious stone types. 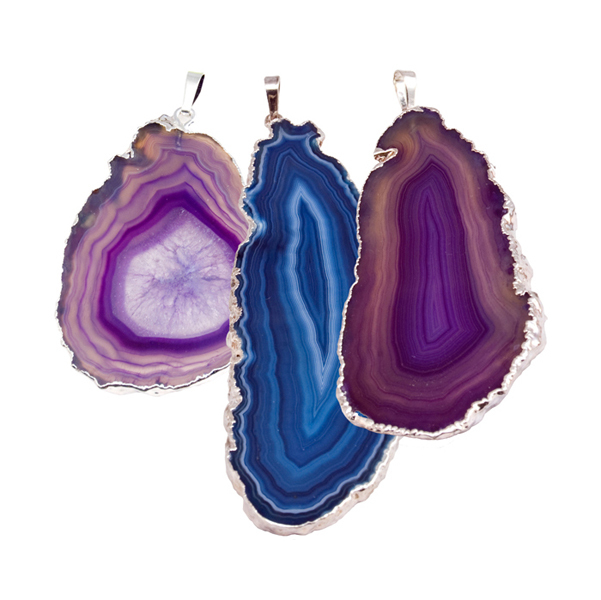 Agate slice and geode slice pendants come in a variety of natural and dyed colours.